The High-Speed Steel Door (SLT) with interchangeable sectors is an elegant solution for companies where fork-lift truck traffic requires the use of high-speed gates because of the frequent transits. 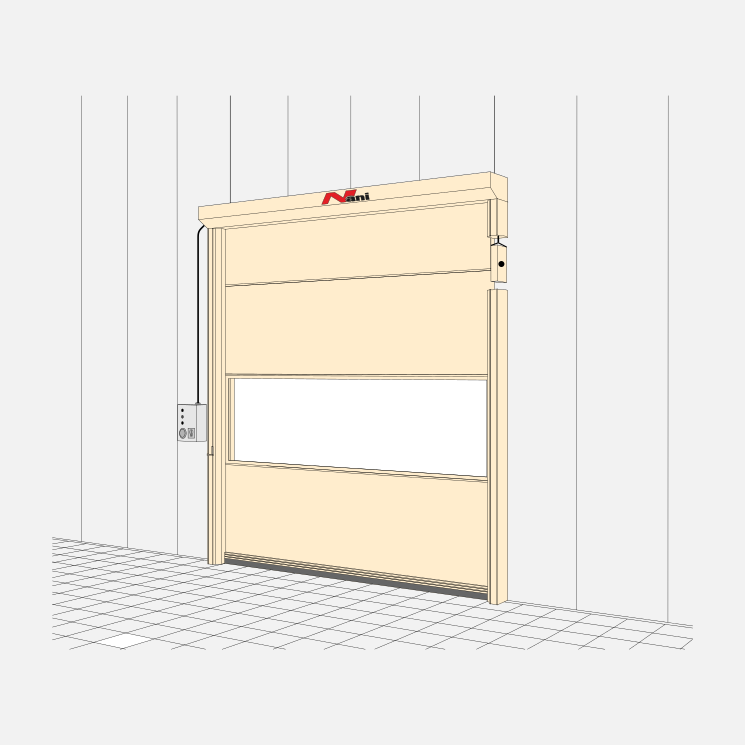 The components of the door – the drive, the weight balancing systems and safety devices – are built into a compact and fully enclosed self-supporting housing made of galvanized steel. The construction ensures a high interchangeability of the sectors which have been damaged during a crash. The clear-view and colored elements with sector-limiting profiles enable the wind resistance of the standard door to be increased. The safety edge of the door can optionally be equipped with a self-monitoring light barrier or with a pressure switch. An automatic safety system is a standard component of the Nani High-Speed Steel Door. In the event of a power failure this will be activated. Then opening the door will be possible through the effect oft counterweights.